Chanel announced today that it will no longer use exotic animal skins in its designs. That means no crocodile, no lizard, no snake, no stingray, and also no fur, which it had already cut back on considerably in recent years. 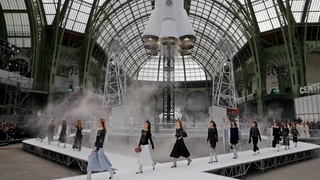 The decision was largely practical, Pavlovksy said, since finding skins that met both Chanel’s quality and ethical standards was becoming too hard. The house will join Gucci, Versace, Burberry, Michael Kors, and Maison Margiela, among others, all of whom in the last year have decided to forgo using fur.